Discover the sensual and sweeping power of love in New York Times bestselling author Judith McNaught’s contemporary romances that will make “you laugh, cry, and fall in love again” (RT Book Reviews). Leigh Kendall is relishing her stellar Broadway acting career in her marriage to Logan Manning, scion of an old New York family, when her husband finds the perfect mountain property for their dream house. But while driving upstate on a winter’s night, Leigh is run off the road in the midst of a blinding blizzard. When she awakes in the local hospital, seriously injured, the police inform her that her husband has mysteriously disappeared, and Leigh becomes the focus of their suspicions. The more she discovers about her husband and his business affairs, the less she realizes she knew about Logan Manning. Now, Leigh is heading deeper and deeper into unknown territory—where friends and enemies are impossible to distinguish, and the truth becomes the most terrifying weapon of all in this thrilling tale filled with unrelenting suspense, unforgettable characters, and powerful traces of greed, ambition, and desire. Judith McNaught is the #1 New York Times bestselling author who first soared to stardom with her stunning bestseller Whitney, My Love, and went on to win the hearts of millions of readers with Once and Always, Something Wonderful, A Kingdom of Dreams, Almost Heaven, Paradise, Perfect, Until You, Remember When, Someone to Watch Over Me, the #1 New York Times bestseller Night Whispers, and many other novels. There are more than thirty million copies of her books in print. She lives in Texas. …Romance is McNaught's bread and butter and she serves it up in abundance. Judith McNaught once again works her unique magic in this charming, sparkling romance. People have been waiting for this book for years… Until You takes you on a roller-coaster ride of emotions. By portraying her protagonists with verve and good humor, and adroitly mixing corporate maneuvers and passionate encounters, McNaught has produced a captivating tale. 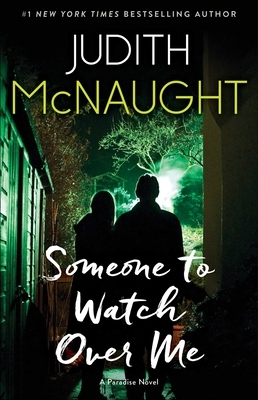 Fans of Danielle Steel and Janet Daily who enjoy a stylish… fast-paced story will welcome McNaught. Judith McNaught comes close to an Edith Wharton edge. A mixture of virtue and passion that is almost—ahem—perfect. Judith McNaught is in a class by herself. The ultimate love story, one you can dream about forever. A wonderful love story…fast-paced and exciting…great dialogue! A perennial favorite, Judith McNaught adds a new layer of suspense to her latest romantic release. Her unique voice and talent shine through in this exciting tale of loyalty, love and danger. Judith McNaught not only spins dreams, but she makes them come true... She makes you laugh, cry and fall in love again. This book is a cherished treasure. Well-developed main characters with a compelling mutual attraction give strength and charm to this romance set in 19th-century Great Britain. Judith McNaught is a magical dreamspinner, a sensitive writer who draws on our childhood hopes and reminds us of loves power. A KINGDOM OF DREAMS will stay in your heart forever and be a classic on your shelves.